THE Giants have survived a brutal fightback from a desperate West Coast Fever on home turf and a four-minute meltdown of their own to stomp their way back into second place on the Super Netball ladder. 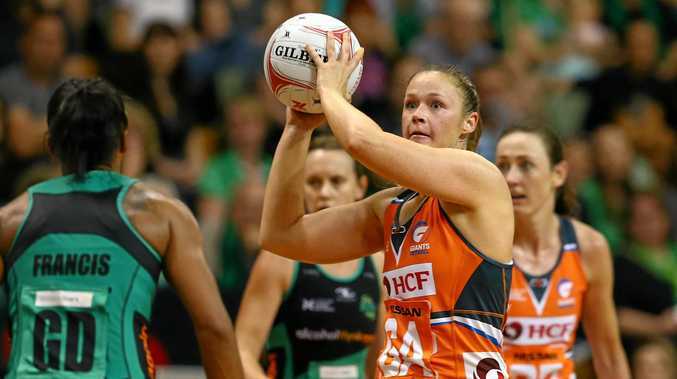 The Giants came good at the end of their round 10 tussle to take a 48-45 win from the bruising and physical encounter and move from third to second place on the league ladder behind the Melbourne Vixens. But it was a close call for the Giants who allowed Fever to peg back five goals early in the final quarter before finding enough composure to close out the match. "There were a few bodies on the floors. 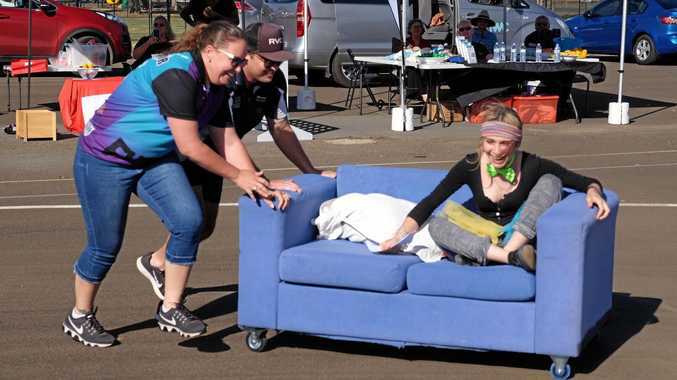 There was a lot of desperation out there," said veteran Bec Bulley, anchoring the Giants defence. "I wouldn't say we were surprised by their fightback. Deep down I think we knew they would keep fighting to the end. "I'm just glad were able to remain composed enough to take the points." Diamonds and Giants shooter Susan Pettitt took the MVP honours for a rock-solid 21 goals from 24 attempt under enormous pressure. Shooting partners Jo Harten and Kristina Brice contributed 16 from 19 and 11 from 12 respectively. A slow start saw the Giants trail the Fever 10-11 at the first break of the game in Perth. By half-time they had clawed into the lead by one goal with a strong third quarter leaving them well positioned at 37-33 going into the final break. But after a major meltdown by the Giants early in the final period, Fever made up the deficit to be level at 38-38. Coach Julie Fitzgerald made major changes to her line who then managed to regain control of the game for the 48-45 win. The Giants next game is also on the road with the team heading to Adelaide to take on the Thunderbirds on Saturday. The NSW Swifts will host West Coast Fever in Sydney on Friday night.